The below Client Registration form is intended for clients looking to establish an ongoing partnership with GTJ. Please fill out the form accurately and completely and a member of the GTJ team will be in contact ASAP. We look forward to working with you very soon. 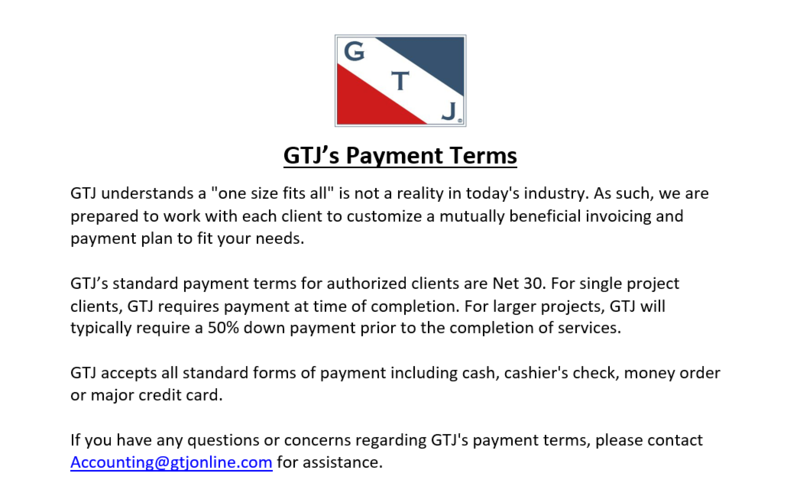 Note: If you are looking to partner with GTJ on a one-time service basis, please go to the Request a Quote page.